Growing up in the north-east of Scotland, Shane Strachan has always had an appreciation for his native tongue. And it is the Doric dialect that helped him collect a doctorate yesterday after exploring the language for his PhD. 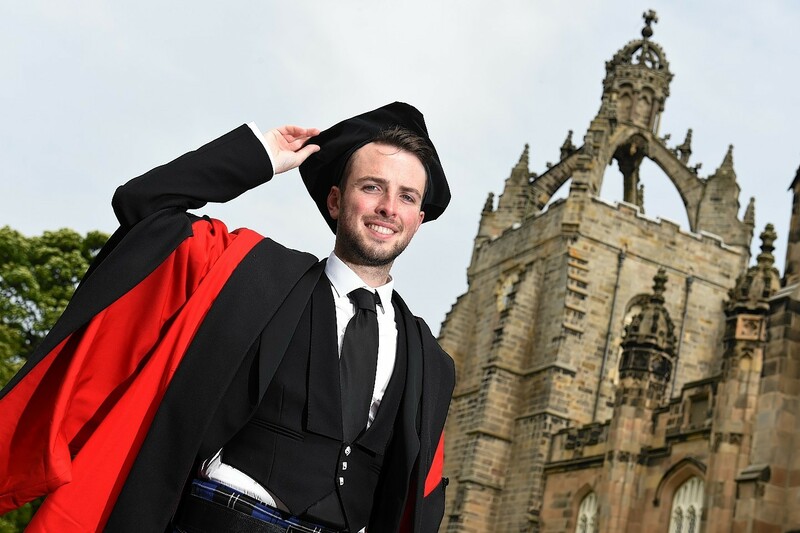 Shane, 26, who is originally from Fraserburgh, picked up his third and final award from Aberdeen University yesterday after studying there for a mammoth eight years. For his final project, he created a short story collection about the fishing communities of the north-east, focusing on the Doric language. “I was brought up in Fraserburgh and members of my family were, and still are, involved in the fishing industry,” he explained. Alongside intense studying, Shane was also heavily involved in the popular Aberdeen Student Shows. Last year, he helped write Wullie Wonkie and the Fine Piece Factory, which debuted at His Majesty’s Theatre. Aswell as gaining rave reviews, the show also raised a record-breaking £80,000 for local charities. 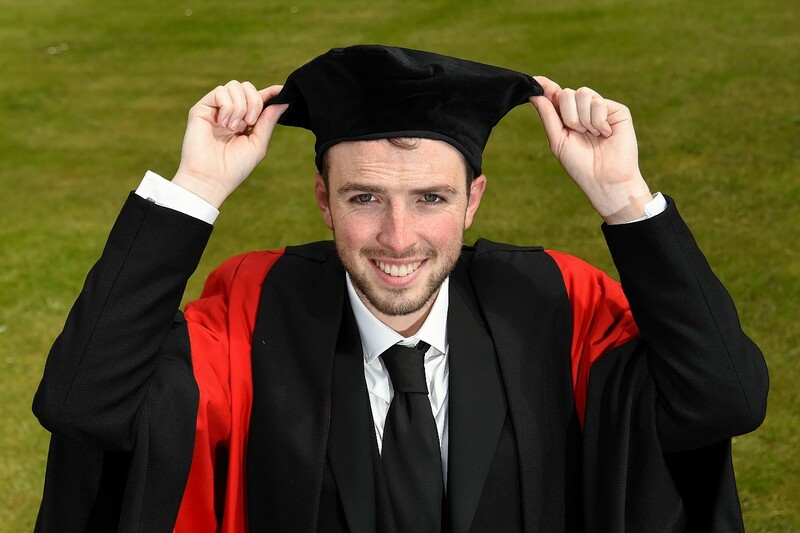 He has also penned plays performed at the Lemon Tree and the University’s May festival, and founded a project called Write Aberdeen – Write Regensburg. The project celebrated the sixtieth anniversary of the twinning between both cities, and he helped create a book filled with work from new writers in both cities. Shane has now secured a job working for Aberdeen City Council’s Creative Learning Team, where he will run various projects across the city to improve arts, culture and creativity. “I’m excited I’ll be able to make a difference doing something I really love,” he said.